A contract protects the interests of both parties involved. When creating a freelance contract, it’s really important that the terms laid out work for both you and your client. That’s where negotiation comes into play. But, how to negotiate a contract? What are the steps involved? Here are our 7 tips for navigating the delicate negotiation process, and understanding the importance of negotiation skills in freelance business. Like most things in business, a little bit of preparation can go a long way. Before you start negotiating any freelance contracts or taking on any freelance work, there are certain things you can (and should) do to make sure you’re in the best position and know how to negotiate contract terms that work in your benefit. The first thing you should do is get crystal clear on your worth. It’s not enough to merely be familiar with your hourly rate or typical fixed price— you should also know why you’ve chosen those numbers. Knowing the value of your time ensures you’re prepared if your client hits you with a “Wow, that’s a lot more than I anticipated…” or “And what can I expect from that fee?”. If you’re not sure how much you should be charging, check out our tool to discover designer and developer freelancer rates, or how you can set your marketing consultant rates. You should also think about any issues that have come up in previous projects and come to your contract negotiations prepared on how you’re going to prevent them in this new project. For example, maybe you once had a client who requested 10 rounds of revisions on a writing project, costing you a lot more time than what you quoted for your freelance work. In that case, you’ll probably want to build a set number of revisions into your next contract. 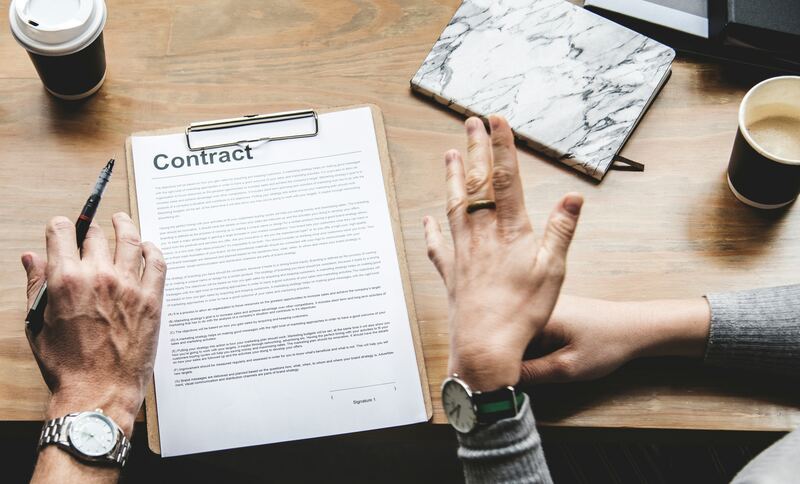 Some clients will want to jump into the contract negotiation process right away, like in your very first meeting, especially if they’re eager to get the project started. However, no matter how much preparation you make beforehand, there will almost always be things that come up in your initial meeting that you weren’t expecting (like a larger project scope or tighter deadlines), so it’s completely normal to ask for time to reevaluate your conditions. Don’t just take your time— also make sure you’re negotiating in small doses to ensure you’re not missing anything important or overwhelming your client. Don’t try to discuss all your terms at once. Instead, go into your contract negotiation with a prepared list of all the terms you need to talk about and take the time to go through them one-by-one. A great strategy for negotiating is to not only make a list of your terms but to also be prepared to weigh the different options available to you and think about alternatives. For example, think about what a two-week payment schedule means for you versus a 30-day payment schedule, and under which circumstances you might be willing to compromise. If you’re not sure what those terms should be, read our list of what to include in your freelance contracts for guidance. In your negotiations, it’s best to start with the easier terms (like non-disclosure and timelines) before moving on to the often trickier subjects like budget and payment terms. In business, it’s always best to “use facts, not feelings”. During the negotiation, avoid feeling-related statements like “I believe” or “I think”. Instead, stand firm, give examples, and be direct by using phrases like “If we do X, Y will happen” or “It’s best if we do X because…”. In your freelance contract itself, back up any claims that you’re making with evidence. For example, if you’re trying to convince your client that you’ll need to budget a couple of hours to put together a creative brief before diving into their logo design, be sure to give them examples of what that would look like and justify the process. Bonsai’s tools for freelancers can help make sure you create a crystal clear freelance contracts, proposals, invoices, and more. Sign up for your free trial today. Negotiation is a totally normal part of any business, and it’s important not to see your client’s attempts at negotiation as a threat. This is not a “you vs. the client” situation, but rather a means of making sure you’re both on the same page and that the project will be delivered as expected. 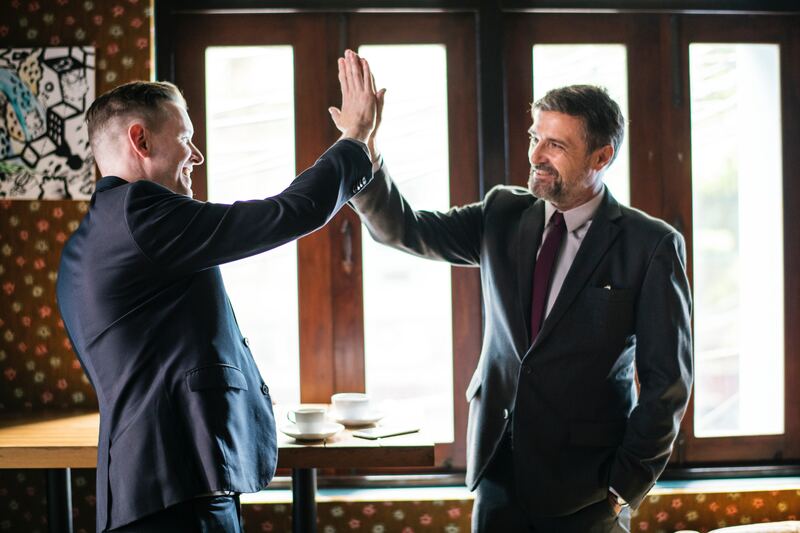 No matter how you negotiate a contract, or whichever your negotiation strategy or style may be, remember to be courteous and collaborative when you’re negotiating a contract with your new client. Be open-minded, ask questions if things are unclear, and be sure to actually listen to your client’s needs and wants. Don’t simply hear to respond, but actually listen to what they’re saying and ask for clarification if needed. At the end of the day, the ideal scenario is for you to work with this person, so it’s important to avoid jumping to conclusions and to know how to defuse a situation if the negotiations start to get heated. As you might well know, properly understanding the importance of negotiation skills in business can take your game to the next level. That said, it’s also important to be able to recognize when a contract negotiation simply isn’t going to work out. You should always identify your own priorities before starting to negotiate a contract or a retainer agreement. If there are some things you certainly won’t budge on, get clear on what those are before talking to your client. For example, maybe you expect your freelance invoices to be paid 30 days after project completion, and budging on that would negatively affect your ability to pay your bills. Know what these non-negotiables are ahead of time so you know exactly when to walk away from a client who refuses to find a middle ground. No project is worth compromising your priorities - especially when it comes to meeting requirements that could jeopardize your reputation, success, or personal wellbeing - and you don’t want to fall victim to freelancer exploitation. Once the negotiation process is finished, be sure to write all the details down in a formal written contract. Doing this will not only protect your interests more than any verbal agreement would, but it also makes you look more professional as it shows the client that you take your work and their project very seriously. Send your client a freelance contract that clearly defines things like deliverables, deadlines, budget and payment terms (including the invoicing process and any late fees), as well as anything else that came up during the negotiation process. No matter what you choose to include, be sure to be as detailed as possible to avoid any loopholes. Negotiating a freelance contract only gets easier with time, but if you follow our tips you’ll be sure to come up with terms that work for both you and your client. When you’re ready to send your final contract over, be sure to use Bonsai’s contract templates, which have been vetted and allow for easy e-signing. Get your free trial today and see how easy it can be. Your supply of freelance work depends on designing effective proposals, but sending follow up emails after quotations or proposals is equally important. Building a successful freelance business means bidding on jobs and making a profit. Here’s all you need to know about how to make a quotation for freelance work. Learning how to write a book proposal is a major step in becoming a published author. Use our book proposal writing guide to help you do it the right way. RFPs are great for landing clients. Looking to improve how you respond to an RFP? Use these 5 tips to make sure you're writing compelling RFP responses. Struggling with listing freelance work on your resume? Use this 4 step guide to get you started on the right foot - freelance resumes samples included! Are you a creative stuck looking for freelance clients? Use these 4 tips to take your career to the next level and rake in big freelance clients. Protect your freelancing with customizable ironclad contracts from Bonsai.